Nolé Style and Beauty Indulgence is one of your newest online source to see some of the hottest fashion and beauty products available. Most of the products listed are by Indie Fashion, Accessory, and Product Designers. You work hard. Look fabulous. Indulge yourself in Style and Beauty. NOLÉ. I'm Ayana and I created Nolé Style and Beauty Indulgence because I love fashion, individual style, and beauty products. I love beautiful things & people. I also love all things INDIE. I can literally spend hours "window shopping" over the internet and indulging in all of the wonderful products by indie designers out there. I enjoy what I do and I am very passionate about my work. I seek to find the best indie goods available online. 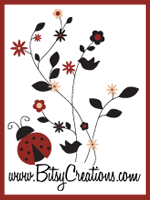 Think of it as me giving you a head's up on some great gifts for yourself or a loved one. I hope you stay along for the ride because I am sure this is going to be an interesting journey! Hey, i would like to exchange links with you on the blog roll (www.bloominglily.blogspot.com)...I tried to copy your banner, but couldn't do it...let me know if you are interested...also, I think your web launch sounds cool and would be interested in joining. 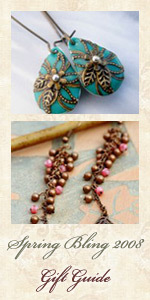 My jewelry website is www.elle-a-belledesigns.com. Thanks for adding VIVmag's site to your StumbleUpon. I am enjoying your virtual pub, as well. Please check out our free premier issue at www.vivmag.com/freedownload if you have not already. Best of luck to you with your February launch and thanks again! 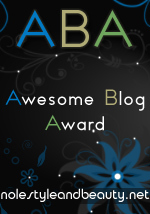 hi ayana... your blog is fun & entertaining. adding it to my "fav's". you mentioned you liked purses...tho this site doesn't have leather ones it just blew me away with it's colors & textures...and then how often do you hear the artist is from estonia! ...still haven't looked up where that is. my purses can't compare to krista's...but i hope you'll check out my site for possible future inclusion. my scarves, cuffs & necklaces seem to be where my excitement lies. Just started a blog. Would like to exchange blog links, and be added on your blog roll. Marion of Fufulinda's ...'cause ev'ry girl has a lil' fufu in her! Checkout http://www.makoollovesyou.com for a new unique shopping site. Hey - I love your blog -- the design is so clean and engaging. I spend hours shopping the net too -- here are some cool boutiques that I shop and adore ... if you haven't heard of them already. - www.luxsten.com -- great jewelry & selection ; the travel inspired themes are nice; global jewelry. - http://www.jetsetchic.com/index.html -- very cool site, nice jewelry.